Our YouTube channel has some helpful info from our workshops and how to make some important parts. 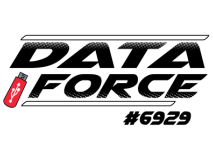 We are a group of teenagers from the Denver area that make up Team #6929 Data Force. Most members have competed for 4 years in FLL (FIRST Lego League) and 5 years in FIRST Tech Challenge . We all love learning about science and technology, advanced engineering, 3D printing, making custom parts, and just hanging out. Please look at our other tabs above to learn more about our team and non-profit 501c3 organization.